Kitaco 181cc big bore kit with Type 2 high lift camshaft for Honda Grom. Comes with aluminum 63mm cylinder and piston kit, 11.1:1 compression for premium pump fuel, high flow injector, and Type 2 camshaft for absolute top end performance. If you're hitting the track with your Grom, this is the kit you want. 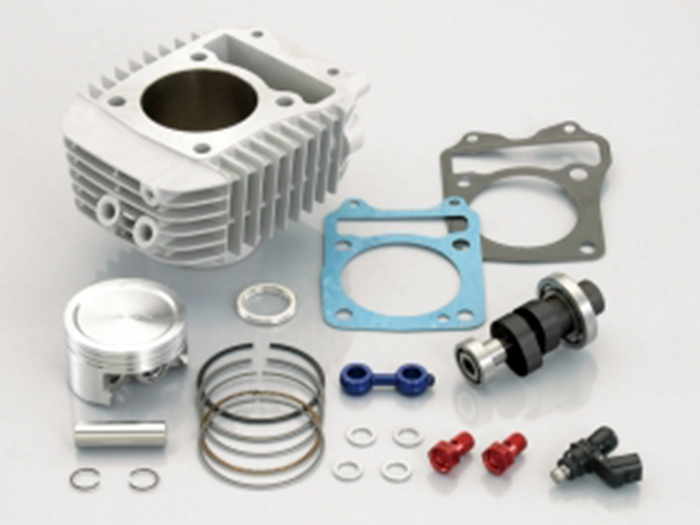 Oil coolers and fuel injection controllers are required to run these 181cc kits safely.